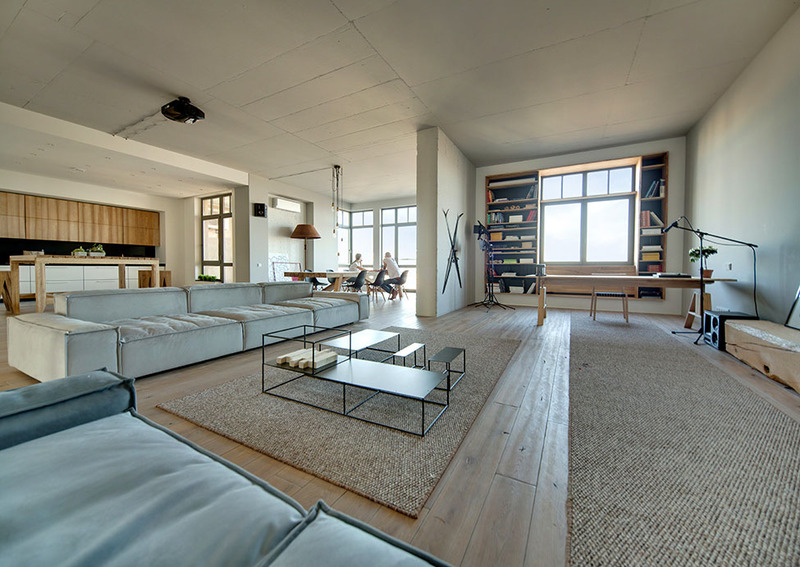 This amazing loft design shows how to decorate interior with sculptural forms. The Her Chair designed by Fabio Novembre is taken from human casting and produced using 3D printer. I like 3 hands hangers on the wall and mennequin offering some place to hang clothes. The ascetic desck attracts attention with three drawers supported on one end by two askew cubes of storage and tapered legs on the other. The white colour of furniture and sculptures contrasts with dark brown foor, black geometric light pendants and black&white photos on the wall. Just beside the small bistro set up is the living space and here texture reigns supreme. A stonewall and a plush rug are paired with linen sofas that are layered with pillows and throws while additional small accessories.